Long tail keywords are best known for getting loads of organic traffic to the blogs and websites, and almost every marketer is using the long tail keywords nowadays. Many bloggers are using the long tail words and are almost ruling the first page of Google SERPs. 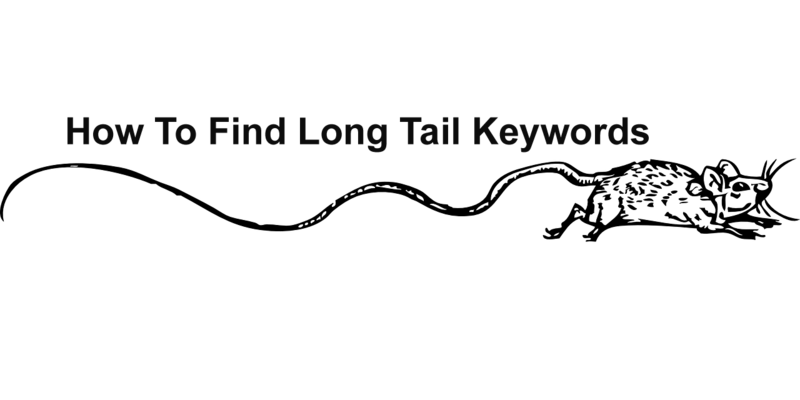 So, today in this post of mine I will be helping you about “How to find long tail keywords.” Although looking for some good long tail words is not a big deal but still who are struggling to find them, I will be helping. Why use the Longtail keywords? How Keywords in the URL a small ranking factor? You must be knowing some tools or techniques to find long tail keywords, but I will be sharing all the techniques and tips which I have used until today to find them. I have used Google Keyword Planner, Quora, Google Trends, Search related to and some more. I have been using the Google keyword planner for years. My first step in learning SEO as a beginner was from Google keyword planner and I love this tool. And most importantly it does not do partiality with any user; it gives each person the same and exact keywords shown to the other users. As competition is increasing day by day but still the marketers are working hard to get better results. And they are getting results no doubt. The reason they are getting better results because they can get long tail keywords with more traffic and less competition. You can see in the image that the keyword I searched was only “SEO Tutorials” and planner came with some Google long tail words. Now you can choose keywords with little competition and average or higher monthly search. These keywords will have better chances to appear up in the Google SERPs as quick as possible. Note: Instead of clicking on the “Ad Group Ideas,” just click on the “Keyword ideas” one of the best reason for doing it is that it will help you to find better long-tailed keywords. You can find the details in the above image. Here’s the screenshot for the same. This section that is named “searches related to” can help to find the desired keywords and to get more traffic as well. Just search the keyword which you want to target, and you will get some better suggestions instantly. You can select the keywords from it which you think will work better for you. These keywords are also termed as the LSI (latent semantic indexing) keywords. Also, the use of these keywords in the post with the main keyword will enhance your article, and there are better chances that Google’s Rank Brain algorithm will rank it on Google’s First page. In the “Searches related to” section, you will obviously get a mixture of keywords with keyword searched by you in it. SEO tutorials step by step. It is one of the top infographic websites. Millions of users submit millions of infographics each day. But besides that, it has some other amazing features. It also provides you with the opportunity to present your website to it as a search engine and verify it also. But let’s talk about the features which can help us to get some Long tail keywords as well as LSI keywords. In the above image you can see that while typing the word, you can get the suggestions for the keyword you are searching. I have always used these tools to find some good keywords and then checking their completion and traffic on Google keyword planner again. UberSuggest is another excellent tool which can help you find the keywords. It gets the information from Google Suggest. This tool provides more keywords suggestions than many other tools. What makes this tool unique is that it provides a lot more keyword suggestions than Soovle. It can provide you with hundreds of suggestions for the keywords you search, and that is in the alphabetical order. When you search on other search engines like Google, Pinterest or Bing, you get suggestions while typing the keywords. But with the Ubersuggest you just need to type one keyword only, and you will get suggestions from all the alphabets, From A to Z. Like when I searched “SEO tutorials” in the search box I amazingly got 215 results. You can see the below images for better understanding. The webmaster is a more valuable tool than any other tool I have used till today. Many bloggers think that the best keyword is that which you are already ranking on the Google SERPs. And Google webmaster tools help you to find those keywords which you are already ranking on the Google SERPs. One of my friends named Prince Ramgharia told me this and actually what this trick worked and helped me to move some already ranking keywords to the first page. In the above image, you can see that the keywords on which my site is getting clicks and impression. You can use the long tail keywords from here to reign on Google SERPs. Another excellent tip that he gave me was to use these already searched keywords in the current existing posts, mainly in the Meta description of my posts. So, What I suggest you, try this for sure. It is the easiest tool I have used to get suggestions for keywords. If you are using this tool, then you need not to visit multiple sites. The site gets its data from Google Suggest, YouTube, Wikipedia, answers.com, Bing, and Yahoo. Suppose if you are searching a keyword like “SEO tutorials” again. Then the results will be like this (below image). This tool is a great help because just in one search you will be able to know what kind of long tail keywords are required to rank on Google, Yahoo, YouTube, and Bing. I always prefer this tool for newbies and to those wants to rank on all search engines but not only Google. Google Trends is not only my favorite research tool, but I think a tool liked by all the blogger in every niche. This tool can help you to get high traffic keywords in your niche. The name Google trends itself confirms that we can get any new research on keywords like traffic and competition before any other tool like Google keyword planner. Another amazing feature of Google trends is that you can check the interest in the Keyword over time. Just go there and search terms, I am using “SEO tutorials” in this post of mine, so will continue with same. We can see in the above image that how many keywords were searched from 2005 to till now. And check the above image for which I am writing this post (you just have to scroll down a little to check it). As you can see that there are two related keywords terms. That means that what people are currently searching to the alternate of this keyword. Quora for some webmasters is a very goo ng source of referral traffic. Even I use it for the same and surely get a good amount of referral traffic through it. Quora is a Questioning and answering site where you can question and answer about anything (it is similar to answers.com and yahoo answering). You first have to create an account on Quora. Logging in is an important part because you won’t be able to access any features of the website without providing your details. Now just search for the search option, on the top of the website, and search the keyword. When you start typing the keyword like Google, queries will appear up with the different questions already answered or unanswered. But we are looking for the long tail keyword so check the keyword which you which want to use. I would mainly recommend this to writing a better post title. Once you get these questions or keywords, return to the Google keyword planner that how this keyword is used (checking the competition and search volume). KeywordTool.io is a free and excellent tool which is best known for generating long tail keywords. It is something like Soolve.com and UberSuggest. This tool also grabs its content from multiple search engines as Bing, Amazon, and Google suggest. Like soolve.com, the keyword.Io tool provided me with the same number of results like 215. And the results are in alphabetical sequence. You can see the image below. Another new feature that Keywordtool.Io provides is Search according to the country; you can select the Google.co.In, Google.co.Jp, Google.co.il and or any other country for which you are going to rank the keyword. I have not used the Hittail although some of my friends have suggested me many times. I didn’t try it because it is paid, not free at all. Most of them say that it helps to make a list of long tail keywords and which is an amazing help. Hittail is best known for suggesting other long tail keywords for the targeted keyword. Which helps in better ranking and getting more traffic to your blog. If you are using other tools then why not use Bing for finding an LT keyword for your blog or website. It is much easy to use and mainly to get more related searches. Just search on the Bing, the keyword about which you want relevant keywords. And with just a single click you will get the corresponding searches like Google. In the above image, you can see that related search terms are appearing. And also, you can find these related searches at the end of the search results and choose some Long tail keywords for you. who are interested in improving their site’s overall ranking. It can help find true ranking opportunities & low SEO difficulty terms to create smart and competitive contents. Long tail keywords have become an important part of the SEO. And using these keywords we can get more targeted traffic. There are many other paid tools for getting this kind of keywords. I would only like to give a little mention to them. Those tools are Keyword Discovery, Word Tracker, and LongtailPro.com. I have only shared the free tools which you can use to find the Long tail keywords. And I don’t think so that after reading this post you need to search on google for how to find long tail keywords. But if still, you have any questions or queries, I will always be there to help you. And also, if you know any other tool which can be used to find some long-tailed keyword, then help me make this post even more valuable. Finding the right long tail keywords is the key to success of any post. Google keyword planner is an awesome free tool to find your targeted keyword. I am glad that you liked the post. Thanks for stopping by and commenting. Great list of long tail keywords tools. You can also add clevergizmos keyword researcher software. It is a scrapper, which scrap google etc keywords in thousands. Thanks for suggesting clever gizmos, I will add this in my post in the next update. Thanks making this post more valuable. It’s such a joy to see you here on my blog my friend. The tip you gave me was really good and has helped and it was worth mentioning you in this blog post. You have shared very important info about research long tail pro, Basically, I have no ideas about it, I have used Keyword Planner tools for simple research keyword, but I have read you article really I have learned something new it, I will try them, and I hope these methods working as well. These methods have worked for me and if you will use them with perfection, then surely it will work for you. And also thanks for the visit. The 11 tools for keyword research you listed herein are awesome, but i stick to Google Keyword Planner, it is my number one, and being owned by the search engine giant Google, then i am rest assured. Google Keyword Planner is really good but trying some extra tools is a great help to find long tail keywords. Sometimes Google Keyword planner hides some keywords, which it only shows when we manually enter those keywords. Hope you understand and also thank for stopping by and commenting. Robin, this is a great post, thank you. I am going to look at these tools now and start using them, thanks so much for sharing. Wow… very informative.. and thorough. I have used the G- keyword planner. Very helpful. I have not explored the others though. Will do. I’ll use this post as a resource ..
You must try this tools and these tools will surely help you. Finding and using long tail keywords should be a regular part of your SEO strategy since it fine tunes your traffic, to not only find your most targeted traffic, but also to eliminate poor quality traffic. Hey, this is an important subject to deal with seriously and all bloggers should make note of it too! Thanks Robin for this intensive and well-researched post. Thanks for the kind words you have written and I am sure the tools I have shared will be helping to find long tail keywords. Longtail is the most exciting way to targeted natural traffic. Though often being difficult, once you get those longtail keywords with decent traffic, and having done proper onpage SEO, you will rejoice with the targeted traffic. You have shared some really exciting methods here and thanks for not keeping it to yourself. Yes, Long tail keywords help to get natural traffic and sharing all our secrets is called blogging. Thanks for your feedback. I just started blogging and am currently working on my first blog. Finding the right keyword surely helps alot and i had been looking for good detailed information about it. I really found your post very informative and thanks for posting with all different methods. I personally think that the Google Keyword Planner is very good as the information is provided by Google itself which is the main traffic source. Thanks and keep posting such good posts. I am glad that i was able to help you through my post. Thanks for your feedback. I am doing blogging from last 3 years and when i checked this post i was shocked because i am using LTP tool to find these kind of keywords easily but here you have shared this awesome method too thanks a lot dear i will stay in touch with this awesome blog. I am glad that you find this post helpful. Another tool you could add to this list is the Bing Keyword Research Tool. It’s not very popular but it has lots of long-tail keywords and even gives the search volume (customizable time ranges) for both Broad and Strict matching. It’s definitely worth the time to signup for the Bing Webmaster account just to have access to this tool. I think I have already Added that Tool at the end. Or is it a different tool? This is a great post, Robin! I usually use a combination of google suggest, wikipedia categories and my brain… but Soovle seems like a bigger picture solution. Soolve is really a good tool to go with and I am sure that it will be a great help. And also thanks for the feedback. I am glad that you found a good tool. Have a good day. I can honestly say I’ve never thought of using Pinterest to find keywords, makes complete sense though. Thanks for sharing a wonderful Post robin. I use KW Finder to find competition of any long tail keyword and use Ubbersuggest to generate some idea to found a long tail keywords. That’s Great Gaurav and also thanks for sharing your a words with us. Hi Robin! Awesome post. Bookmarked your article for future reference 🙂 By the way, speaking of LSI keywords I was wondering how do you find LSI keywords for your articles? what are your sources of information? I have written a Post on LSI keywords. So I recommend you to read that. Thanks for publishing!. I mostly use google trends, quora and soovle for keyword research of my sites. I also use sometimes keywordshitter.com. It’s fantastic free keyword research tool available in the market. It makes a nice addition to your list. Thanks for possibly the most comprehensive list of keyword research tools available, definitely worth bookmarking. The one tool you mention that I find clients almost always overlook that is there at their disposal is their own website’s Google Search Console. Obviously, it’s great for technical SEO but can offer so many unexpected keywords that they are already ranking for that has gone unnoticed, as well as the search volumes that they command. In much the same way, it’s well worth having using Bing and Yandex webmaster tools that give some great general SEO insights, as well as for keyword research since they can show keyword rankings that Search Console may not be picking up. thanks for the out of the box tips. I agree long tail is the only way to go. These tips were awesome. thanks for sharing. Thanks for the article – wasn’t aware of SEMScoop!